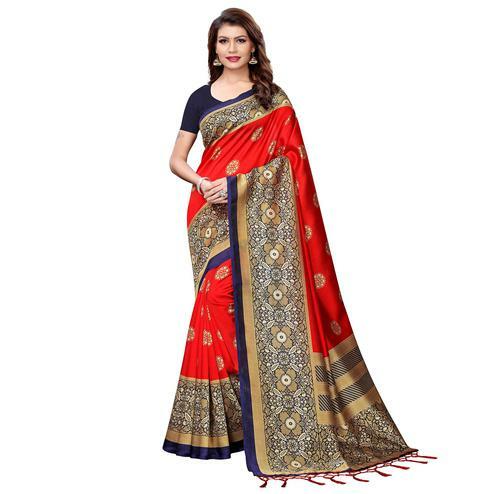 One of the most versatile colours of all, Red. 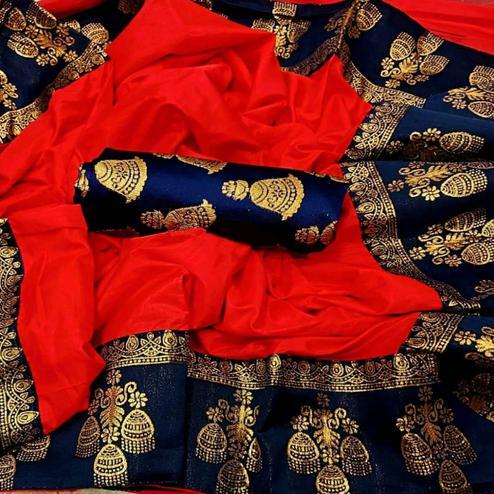 The colour of love and passion. 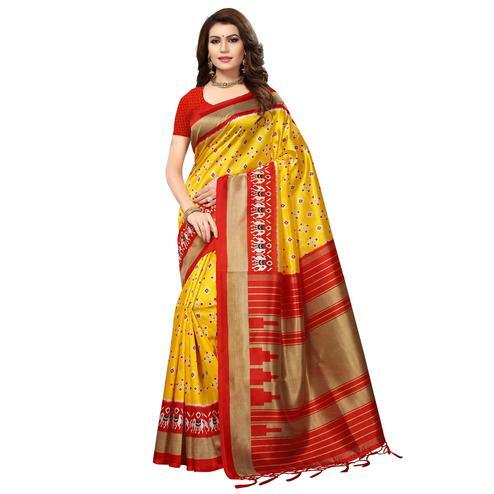 Any ethnic wear made in this colour oozes warmth and adoration. 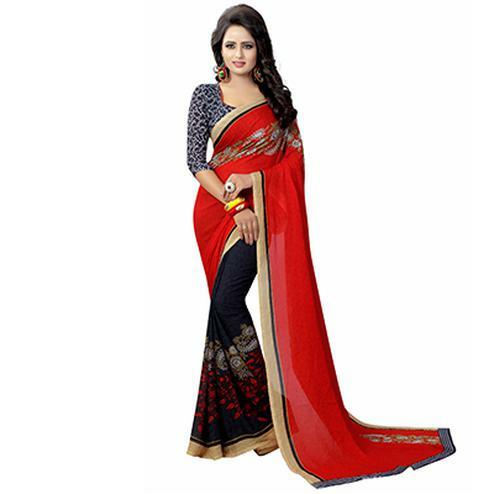 Peachmode, keeping in mind such characteristic of the colour has brought forward a whole range of beautiful red designer sarees. 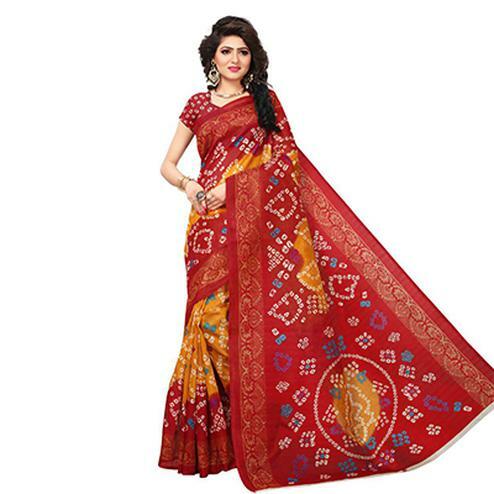 Buy a red saree online from us and embark on the journey of glamour and style. 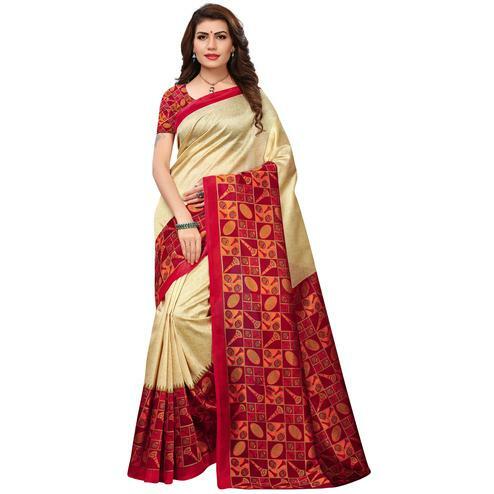 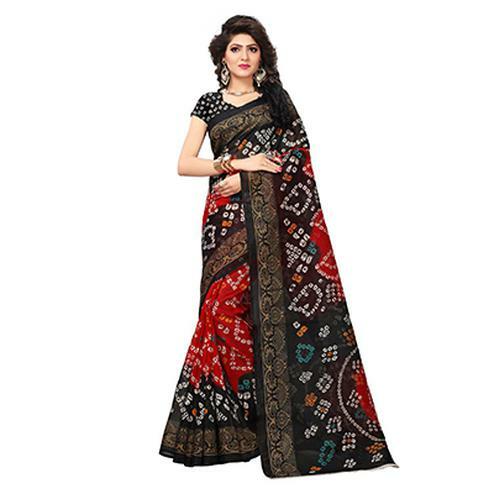 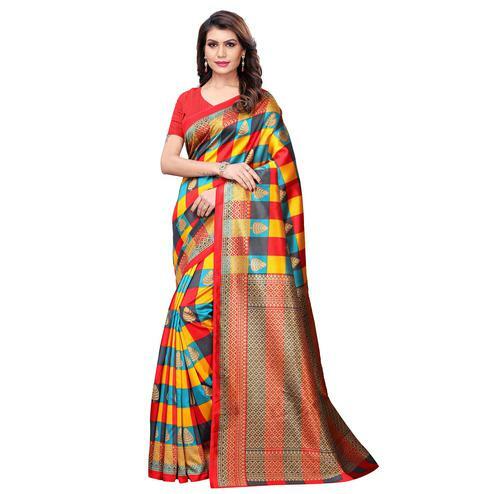 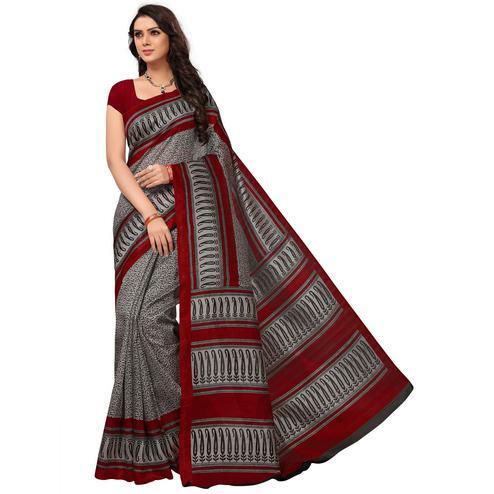 These cherry red sarees are suitable for any kind of occasion and season. 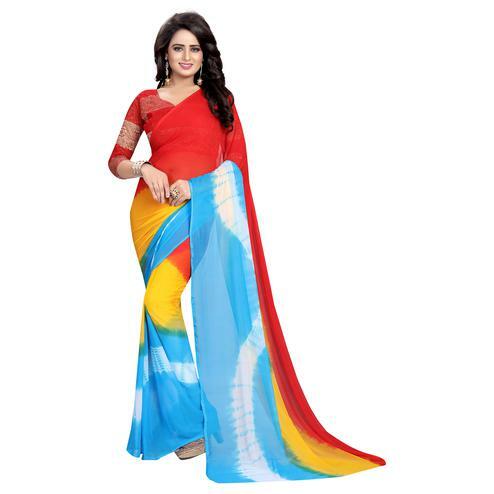 Be it a winter wedding or a summery carnival party, it looks elegant either ways. 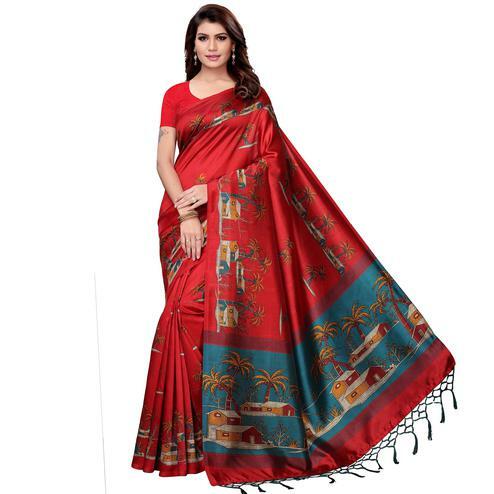 We have a huge variety in red sarees that are worth every dime. 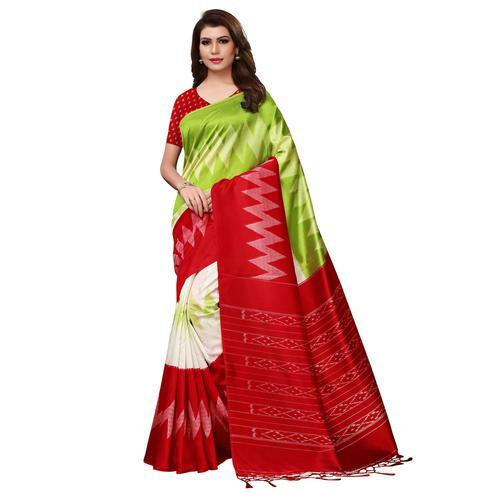 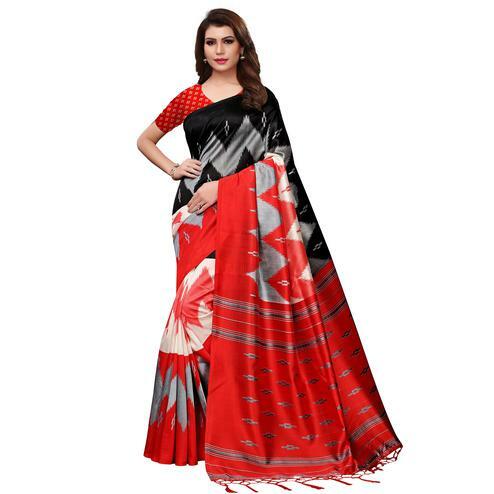 Our red cotton saree can be worn in kitty parties, our red saree with white border goes with any rituals, red saree with black border works best in cocktail parties, red saree with black and golden blouse looks stunning during wedding receptions or any other major parties. 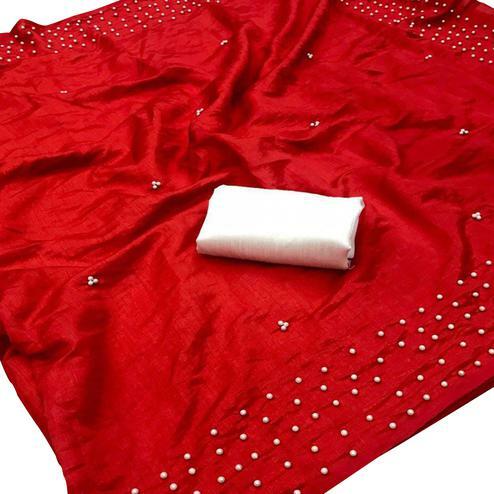 Our red sarees come with decorative gotta work, beads, cut dana, zardosi, sequins, zari and many more to choose from. 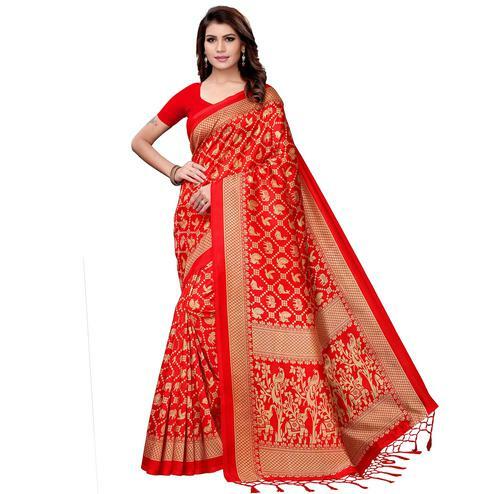 During Indian festivities red is considered to be propitious. 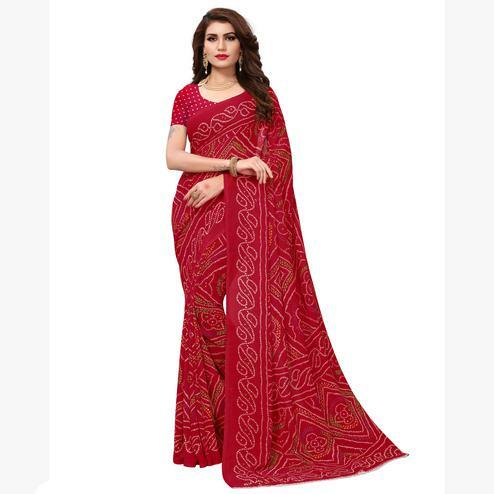 One can find most of the Indian women dressed in a red saree or a red lehenga during major festivals like karwa chauth and navratri. 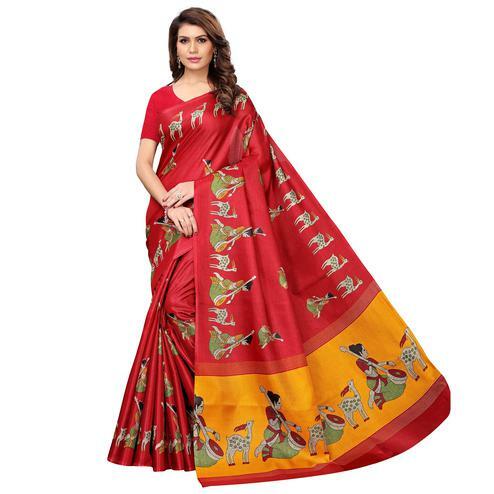 Also during Indian weddings brides are seen all decked up in a beautiful gorgeous red net saree or a red banarasi saree. 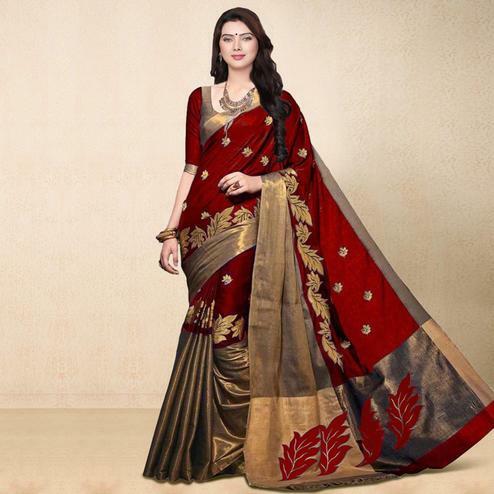 On the ‘D day’ the bride is again seen in a full red bridal lehenga and their overall appearance is utterly divine. 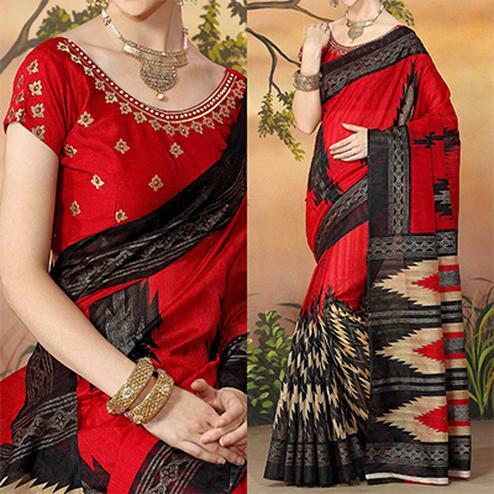 There is nothing beautiful than an Indian bride. 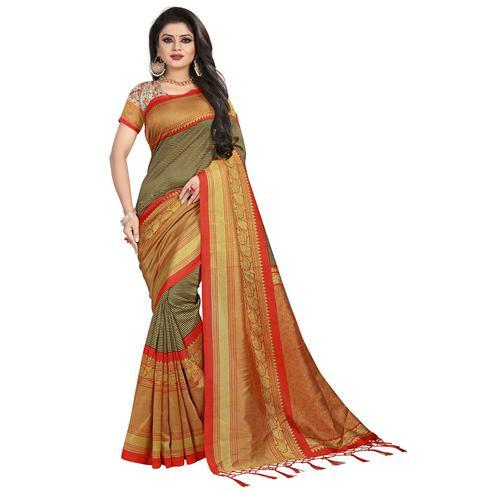 Buy party wear sarees online at Peachmode and experience the comfort of home shopping with us. 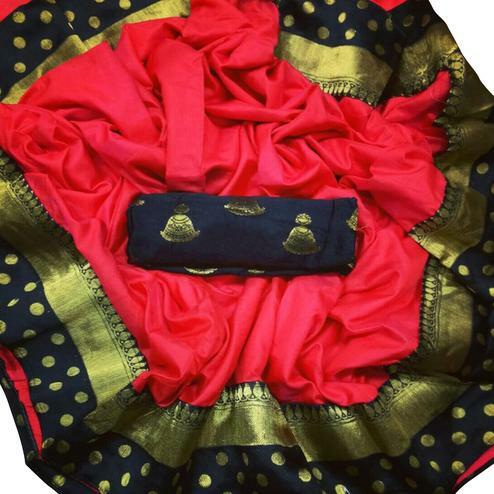 Match your sarees with heavy gold and polki jewellery to look royal. 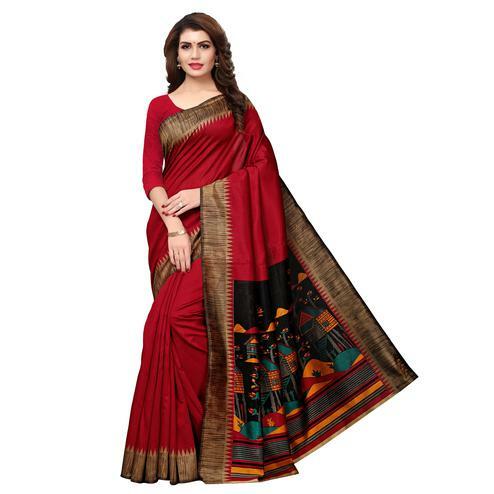 Now, don’t wait up anymore in swamped markets to get your dream dresses when Peachmode can get you the same at your doorstep.